Milton Braasch is primed for a big senior year for the Shawnee Mission East Lancers. Shawnee Mission East senior Milton Braasch enjoyed a breakout season for the Lancers last year and is primed for a big senior year in 6A in 2017. The 6-foot, 220-pound, running back and linebacker, is one of the best returnees in Kansas for the 2017 football season. He earned first team Sports in Kansas All Non-Senior honors at running back last fall but was equally as good at linebacker, a position he will play in college. He has committed at Division I-FCS program, Colgate, to further his education and football career after he graduates from SME in May. Braasch rushed for over 1,500 yards last fall with 23 touchdowns in the flex-bone/spread option attack of the Lancers. He is one of only two offensive starters returning, the other being all-state offensive lineman Justin Finnigan. However, head coach Dustin Delaney figures to use Braasch more on his defense this year as the Lancers return seven defensive starters from a 10-2 campaign in 2016. Braasch has been an impact player in the Sunflower League at both positions since his sophomore year. Braasch is one of the hardest hitters in the state and loves contact. He features great speed for his size with a 4.60 range forty-yard dash time and 3.94 pro-agility time. He also features a 32-inch vertical and a 275-bench. 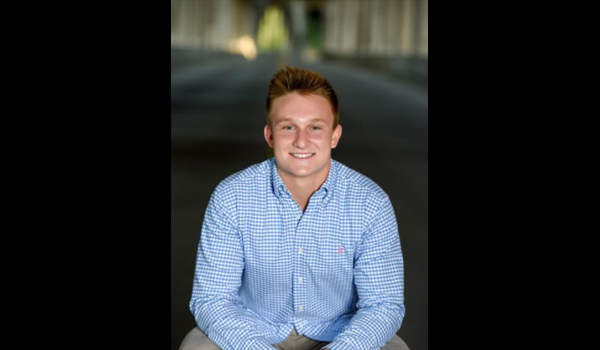 Braasch is a versatile athlete that is also a Lacrosse player at SM East. He tells us Lacrosse has really helped with his hand-eye coordination in catching and seeing the football. SM East, who last won a state football title in 2014 in the second year under Delaney, is looking to get back to the title game this fall. Last season the only losses for the Lancers were to 6A Missouri power, Rockhurst, in a crazy turnover plagued game (26-20), and a heartbreaker to Blue Valley (35-34) in OT in the 6A state semifinals. East has become a 6A power under Delaney, who is 43-6 entering his fifth year as head coach. The Sunflower League has been a bit down as a whole from top to bottom, but SM East will look to be the favorite again. The EKL has had the last two spots in the 6A title game with Blue Valley going in 2015 and 2016. Prior to that it had always been a Sunflower team in the 6A title game since the classification has existed. East opens up the 2017 campaign with Olathe South, who they beat 62-7 in week one of last year. We caught up with Braasch below in the latest Q&A edition of Faces in Kansas. I got involved in sports from an early age because I was a very active kid and that was a great way for me to use that energy. Also I have been very competitive since I was a little kid and can never get enough sports. Do you play any other sports and which ones? I play lacrosse in the spring in addition to football. It is a great spring sport to keep you in shape and build your athleticism going into the summer. How does playing multiple sports make you a better athlete? I think playing multiple sports can make you a better athlete because they can sharpen skills that you would not otherwise have if you just focused on one sport. For example, my hand eye coordination has greatly improved from playing lacrosse and that can help with catching footballs. What is your favorite sport and what do you plan to do at the next level? Football is my favorite sport and I plan to play football at the next level. How special has the success in football been at SME lately? It has been amazing for SME. Football was not necessarily a premier sport in the past but with our success it has turned into one of the school's top sports in terms of school and community support. I feel as if everyone looks forward to those Friday nights in the fall and the fans are amazing. Can you guys make a deep run in 6A this year? I think we have the potential to win a lot of games this year, especially in the postseason. It is a long way out but with the base we have right now and how committed all of our players are, we should have a lot of success this year. You can play linebacker or running back, which do you prefer, what do you want to play in college? I think I’d have to lean toward defense but no matter where I’m at on the field I just love hitting people. What is it like to play for Coach Delaney and the SME staff? We have an excellent coaching staff, all the coaches are very involved and know their positions they coach very well. Our practices are very high paced and we always get after it in the weight room. Who will be teams to watch this season on 6A East and in your league? This year I’m not too sure on how everyone will be but I expect SMW to be good competition as well as Lawrence High. Both of those teams have great programs year in and year out. Who are some key guys to return for you this year? We should have a big year out of Cooper Walton (Senior OLB), who had an excellent year last year. We should also have a big year out of PJ Spencer (Junior DE), who was very impactful last year as a Sophomore and should do big things this year. What led you to choose Colgate? I chose Colgate for a number of reasons. I visited this summer and the coaches and facilities were excellent. It is also a great combo of a top notch education paired with a high level of Division 1 football. Overall it is a great set up to succeed for the rest of your life and there are plenty of people there ready to help with you with that goal. What did you do this off-season to get better? I worked out a lot this off-season and went to a number of college camps this summer. I really worked on improving my first step at LB and eliminated my false step on defense. Best place to eat in Prairie Village? I would have to say The Tavern. In 10 years I see myself working somewhere in the business field, but other than that, we will have to see where life takes me. I’d say my favorite subject is science but specific classes I enjoy marketing and business the most. One thing the average person doesn’t know about you? My cousin is Ryan Fitzpatrick who is in his 13th year as a quarterback in the NFL.